At one point in time, between 1838 and 1933, the United States issued gold coins for circulation. The Liberty Head bust was used as the design until 1907. 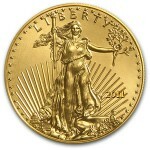 The design was then changed to the Indian Head and Saint Gaudens motifs until 1933 when the “Great Depression” started. This prompted the recall of the coins which makes it very rare to find any of them today. The most valuable coin in the world is the 1933 Double Eagle. This was a $20 gold coin that was made in the 1800’s after the California gold rush. This coin was not allowed to be used in the 1930’s and when this coin was auctioned in 2002, it sold for nearly eight million dollars. Since gold coins are hard to find, most collectors select other coins. One type of collection you might consider is the one made up of coins that are flawed when the coin was minted. If you can find a coin with a misspelled word, a wrong date, off-center characteristics, or double-punched marks, these coins are valuable. Such mistakes can increase a coin’s value from $50 to a $1000. Coins that were only issued or circulated for short period of time also make good collectibles. A coin collection is at its best if it is focused on a certain coin. 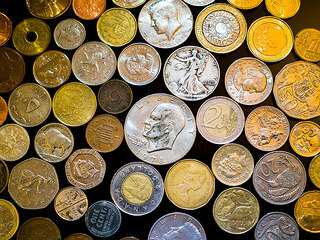 A collector can choose from pennies, nickels, dimes, quarters and dollars. Another way of collecting is disregarding the types of coins but concentrating on a certain time period. Coins have different mint marks and collecting those that were struck in the same location can also be interesting. The important thing for hobbyists is to stick to the collection until it has been completed. For a good start subscribe to a coin publication such as Coin World or Coinage Magazine for information on the types of coins that you might want to collect. The internet or a local coin shop can also help expand the search for those coins that can’t be found in your locale or out of state. Building a coin collection will take a long time – months or even years. The United States has produced so many coins that it is hard to keep track of them. By deciding on the coin(s) you want to collect, the challenge to complete that collection begins. Tags: collecting coins, gold coins. Filed under Coin Collecting by Vic Bilson on Mar 8th, 2017 .